Coldplay’s seventh studio effort is a deep dive into intoxicating club music. The quartet explores purring disco beats, gospel-inflected R&B and even laidback, lowrider cool. In addition to a fantastic Beyoncé cameo on “Hymn for a Weekend,” the ambient-flavored “Kaleidoscope” and “Color Spectrum” spotlight samples from the moving speech and rendition of “Amazing Grace” that President Obama gave at the funeral of Congressman Clementa C. Pinckney. 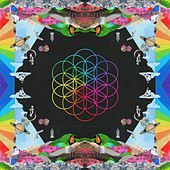 Coldplay may have flirted with dance-pop in the past, but A Head Full of Dreams represents a whole new level of commitment for the sonic chameleons.